WHAT: At a public meeting, the Trial Court Budget Advisory Committee will receive updates on the Governor’s May Revision and legislative budget hearings and will consider recommendations related to trial court allocations for the upcoming fiscal year that begins July 1. The advisory committee’s meeting agenda also includes consideration of budget priorities for 2015–16, encumbrance and fund balance cap guidelines, and a cash advance process for trial courts. WHEN: Tuesday, June 3, 2014; 10 a.m. to 3 p.m.
WHERE: Sacramento office of the Administrative Office of the Courts, 2860 Gateway Oaks Drive, Suite 400, Veranda Room. Members of the public can listen to the meeting by phone at 1-877-820-7831. Use passcode 8592822# to listen in. 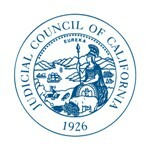 WHO and WHY: The Trial Court Budget Advisory Committee (roster) was appointed in June 2013 by Chief Justice Tani G. Cantil-Sakauye to advise the Judicial Council on the preparation, development, and implementation of the budget for California’s 58 trial courts and to provide input to the council on policy issues affecting trial court funding. The advisory committee invites courts and the public to submit written comment in advance of the meeting or to request time to speak during the meeting’s comment period. Comments and speaking requests may be submitted via e-mail no later than 5 p.m. on Friday, May 30. Speakers will be scheduled in order of requests received. Depending upon demand, speakers may be time-limited at the discretion of the committee cochairs.